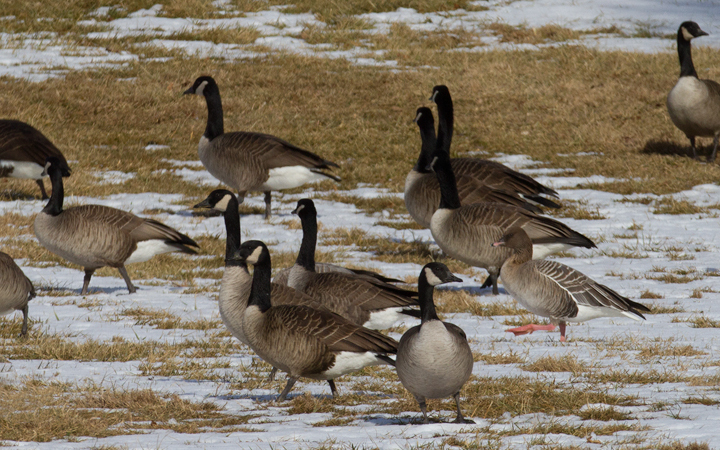 February in Maryland. 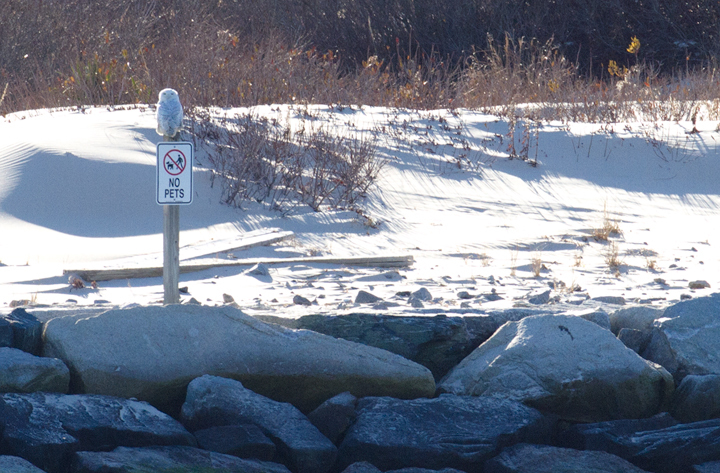 Last updated: 2/9/2014. 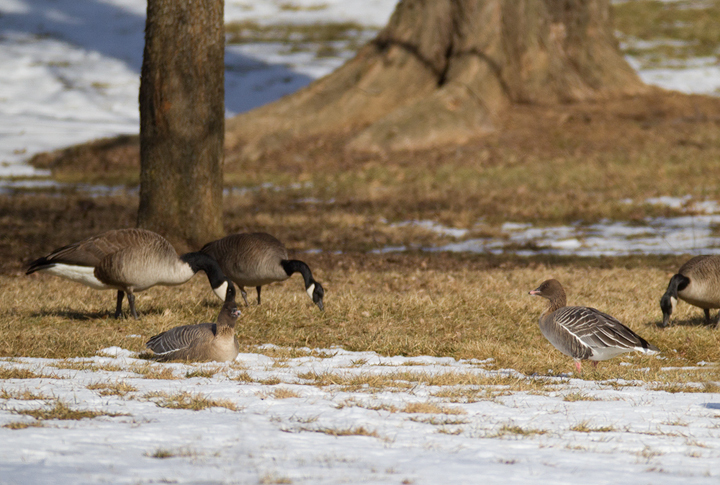 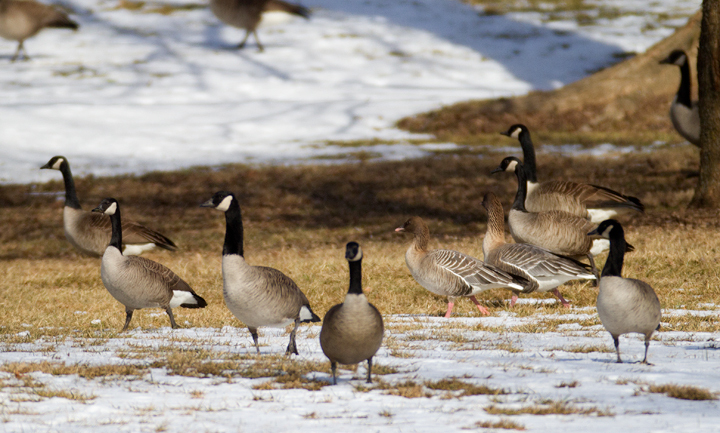 Above and below: A pair of Pink-footed Geese in Baltimore Co., Maryland (2/1/2014). 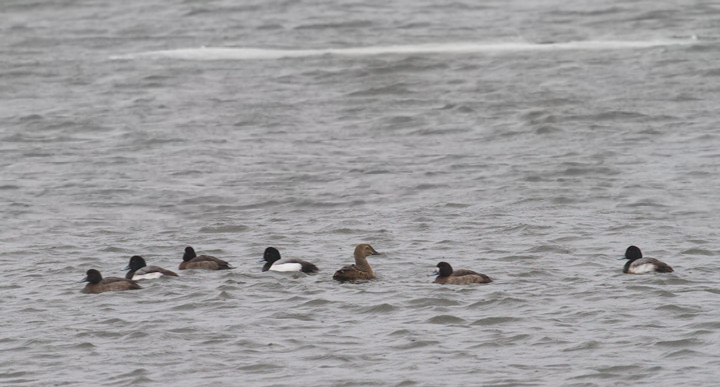 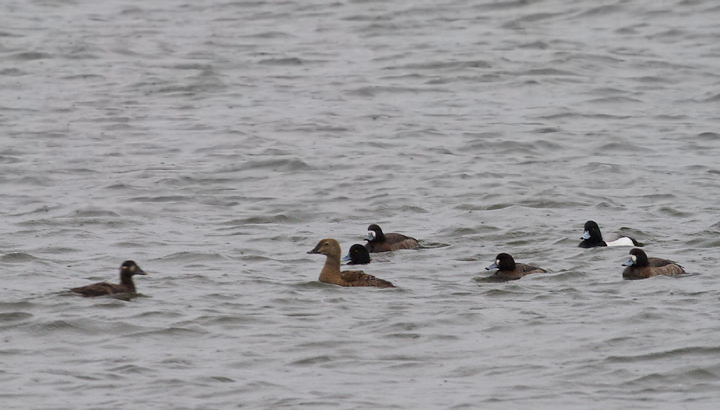 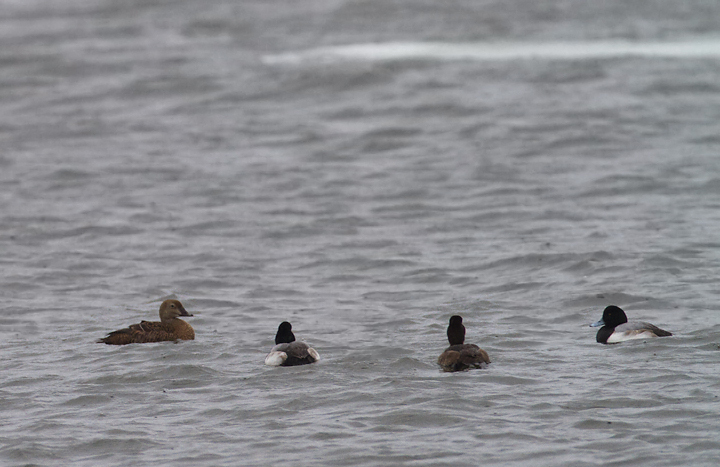 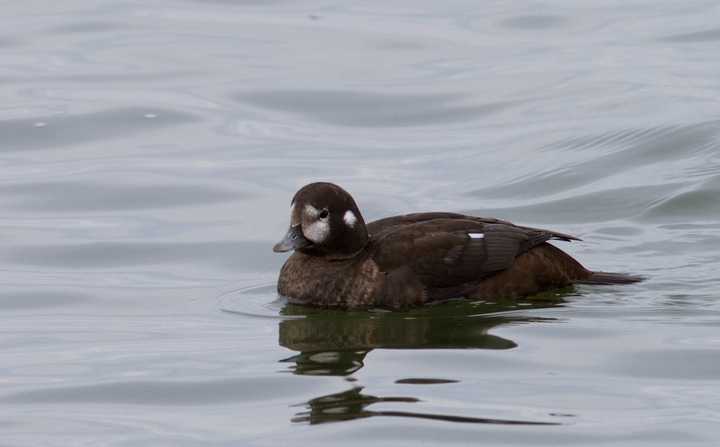 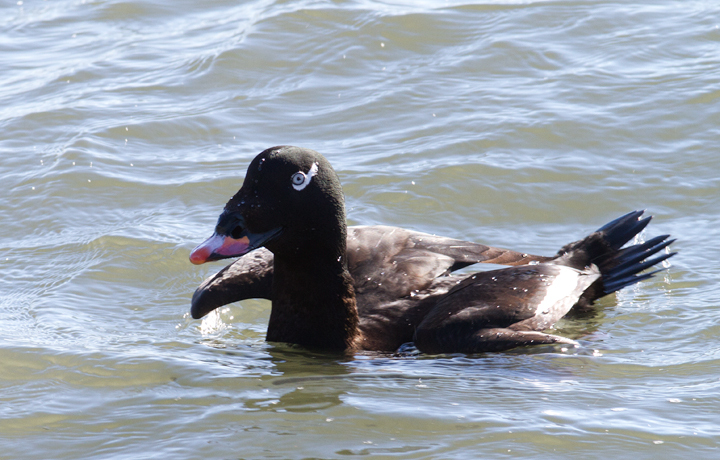 Below: An immature male King Eider at the Ocean City Inlet, Maryland (2/8/2014). 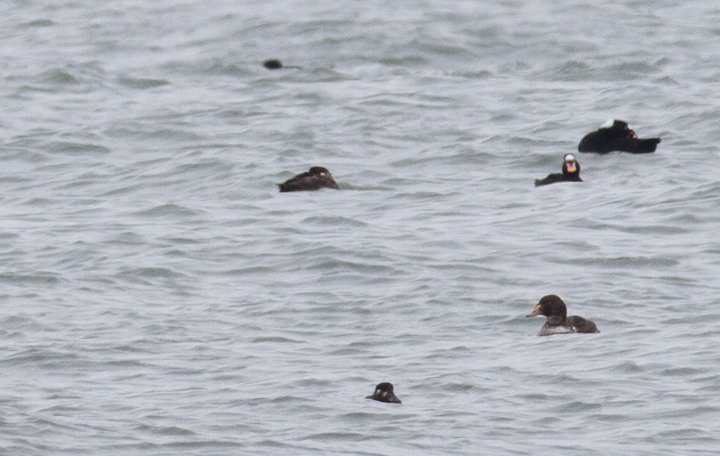 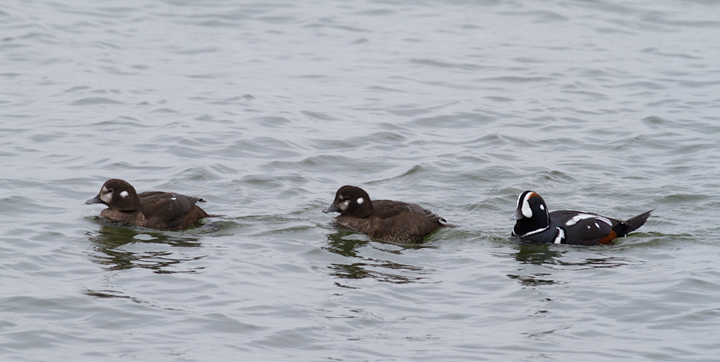 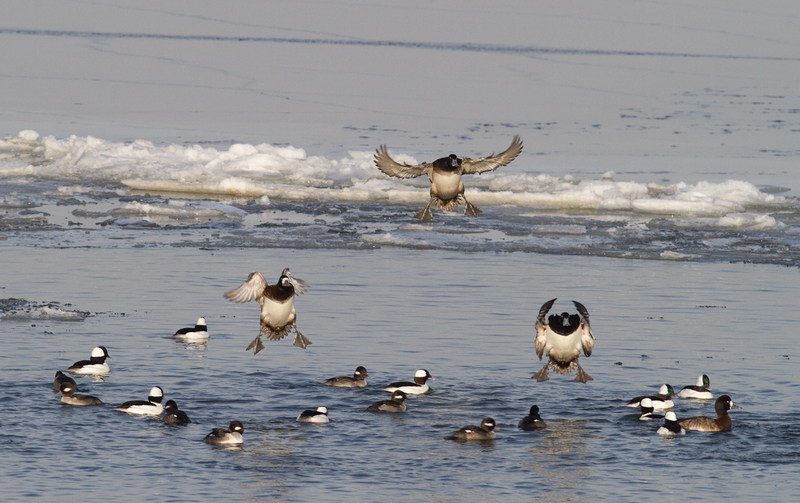 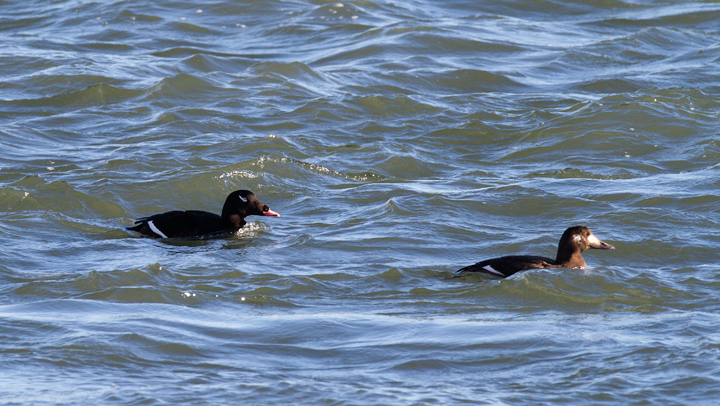 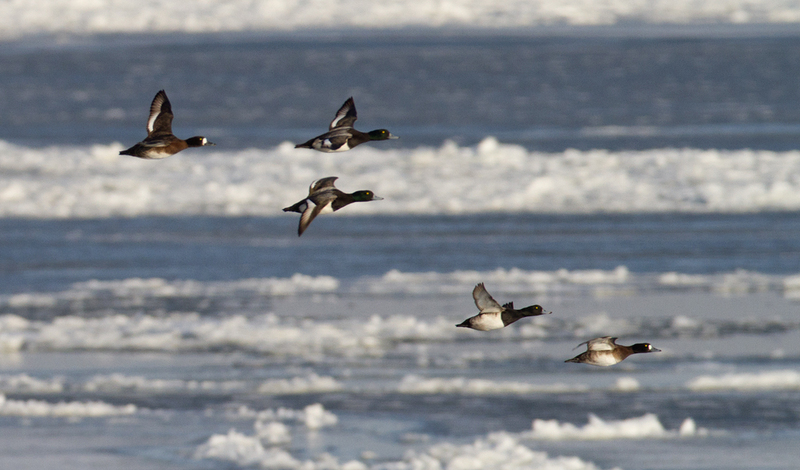 Above and below: Harlequin Ducks at the Ocean City Inlet, Maryland (2/8/2014). 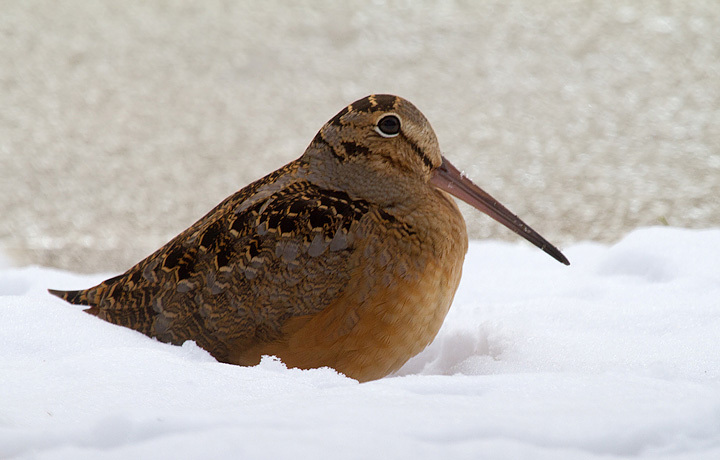 Below: American Woodcock in Dorchester Co., Maryland (1/26/2014). 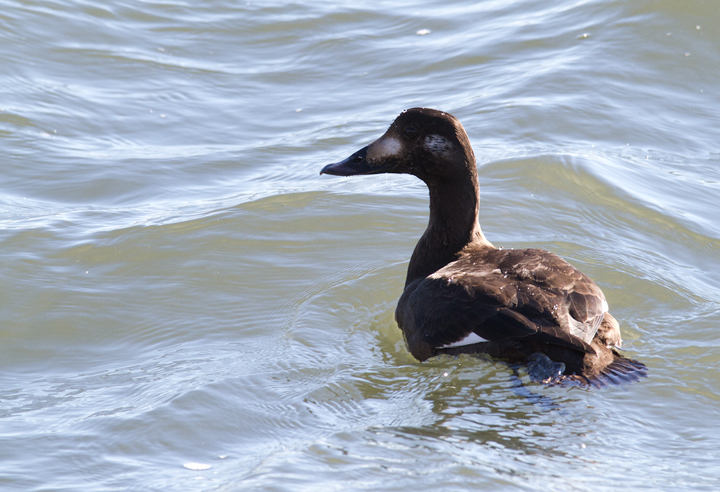 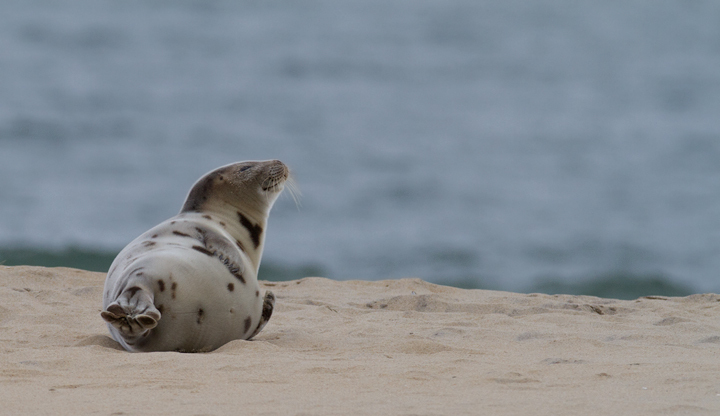 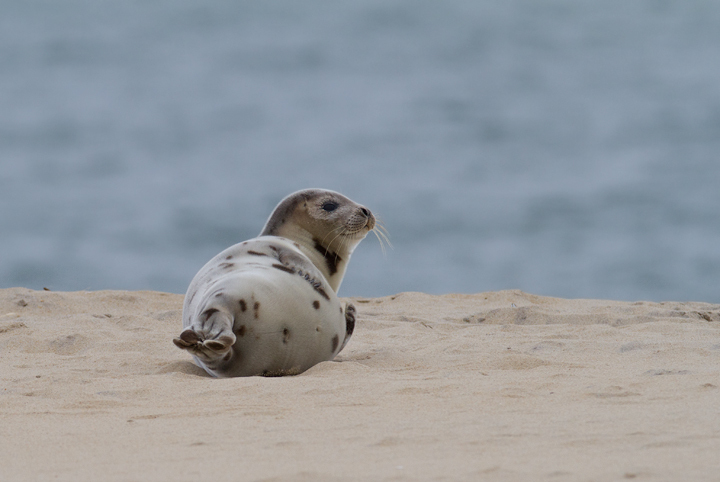 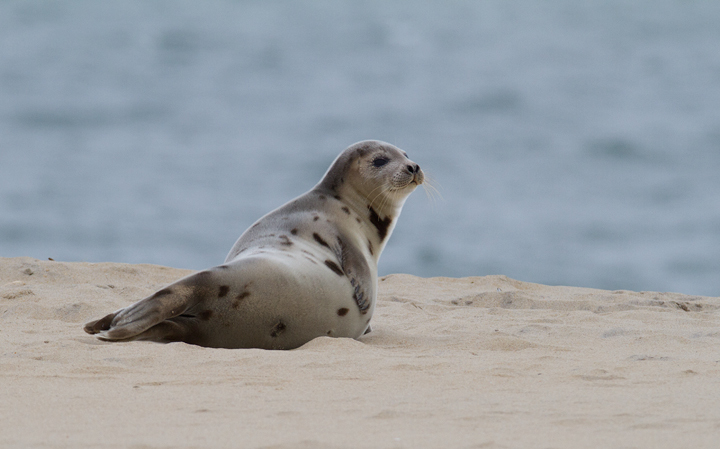 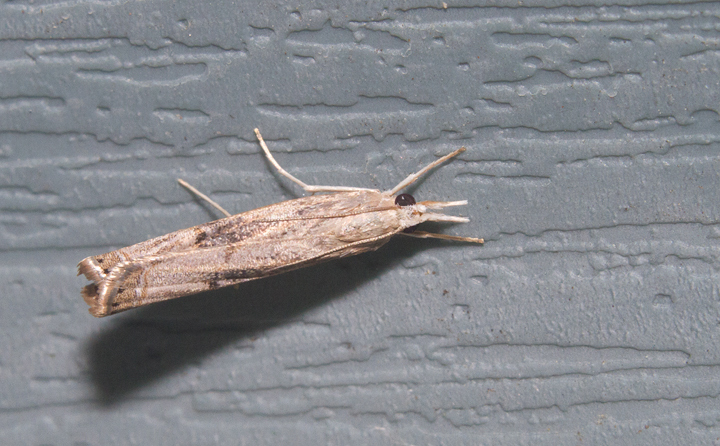 Watch video of it foraging. 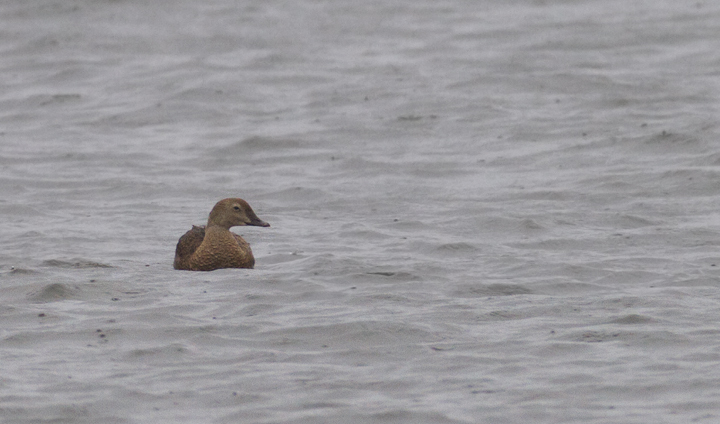 Below: A female King Eider in Anne Arundel Co., Maryland (2/3/2014). 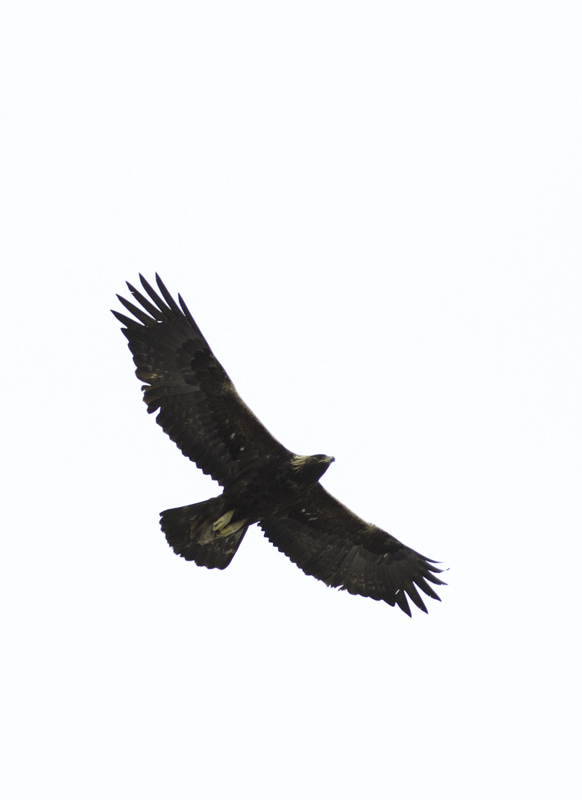 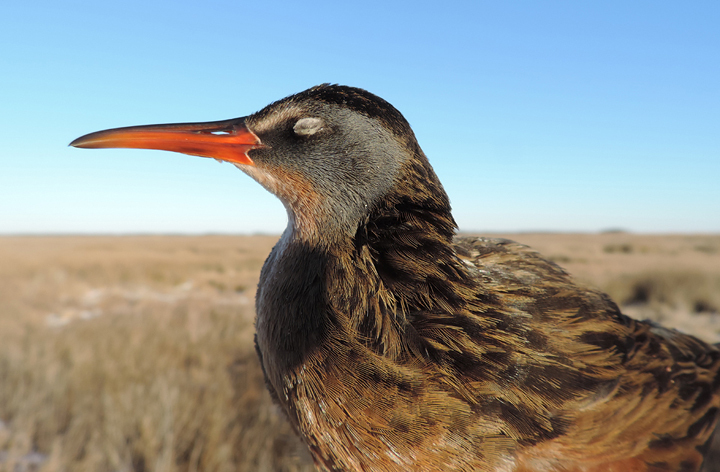 Thanks to Frank Marenghi and Dan Haas for finding and re-finding this exceptional bird. 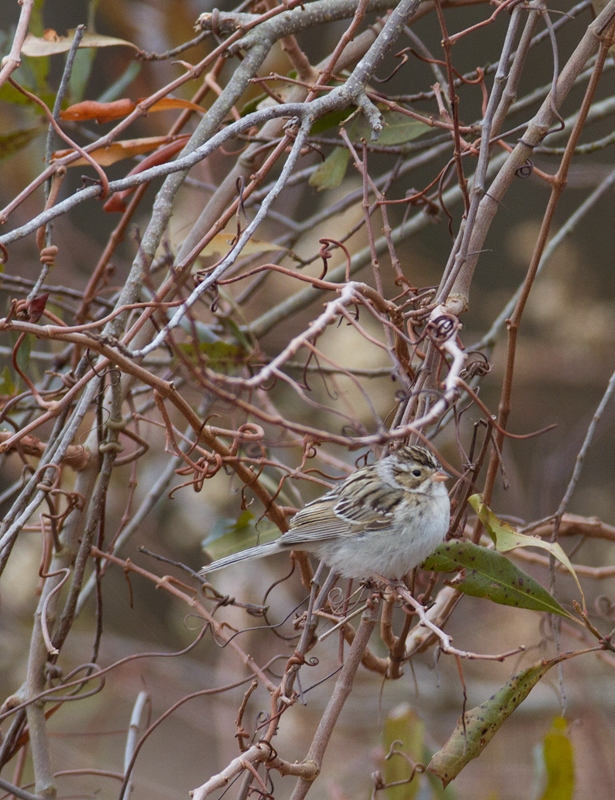 Below: A Clay-colored Sparrow wintering on Assateague Island, Maryland (2/8/2014). 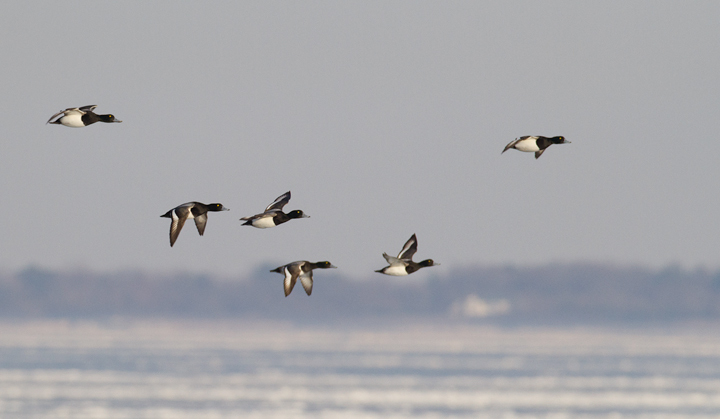 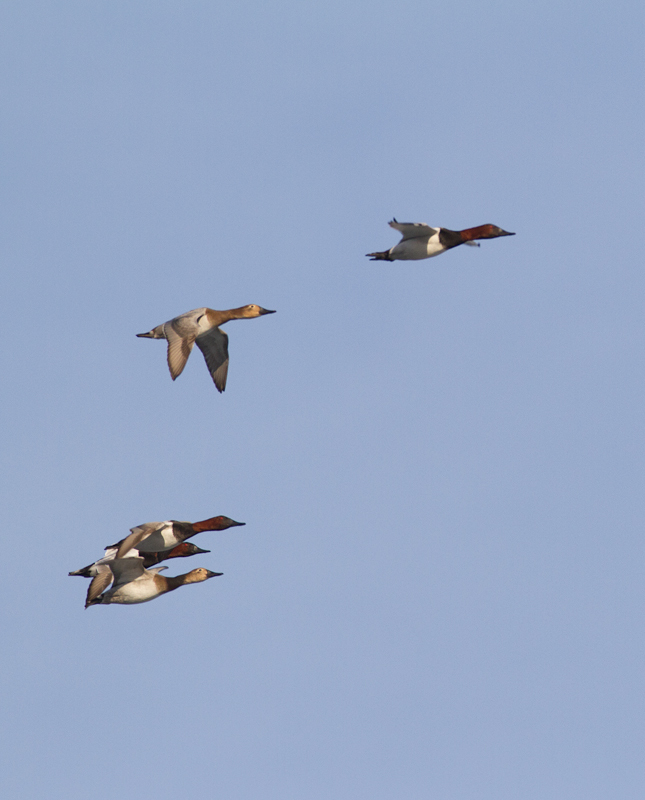 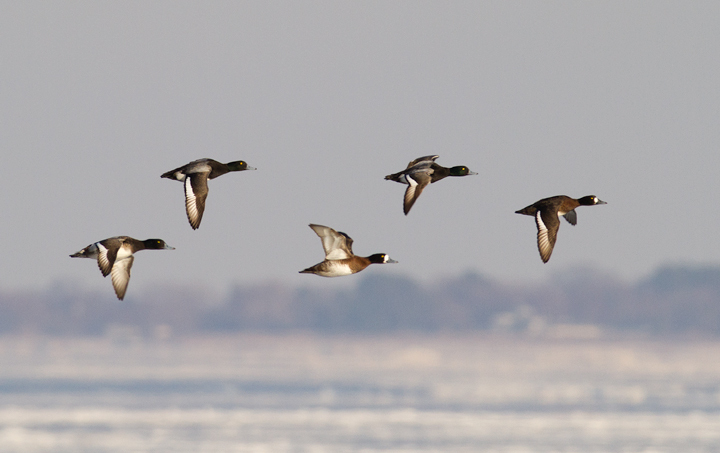 Below: Canvasbacks in flight over Anne Arundel Co., Maryland (2/1/2014). 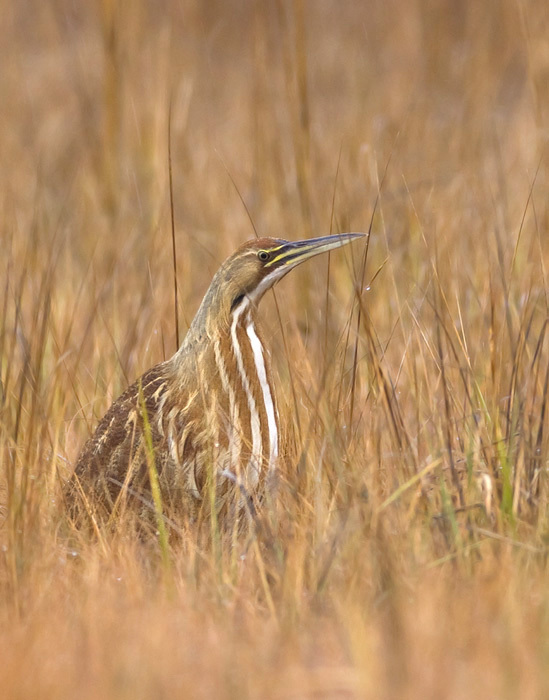 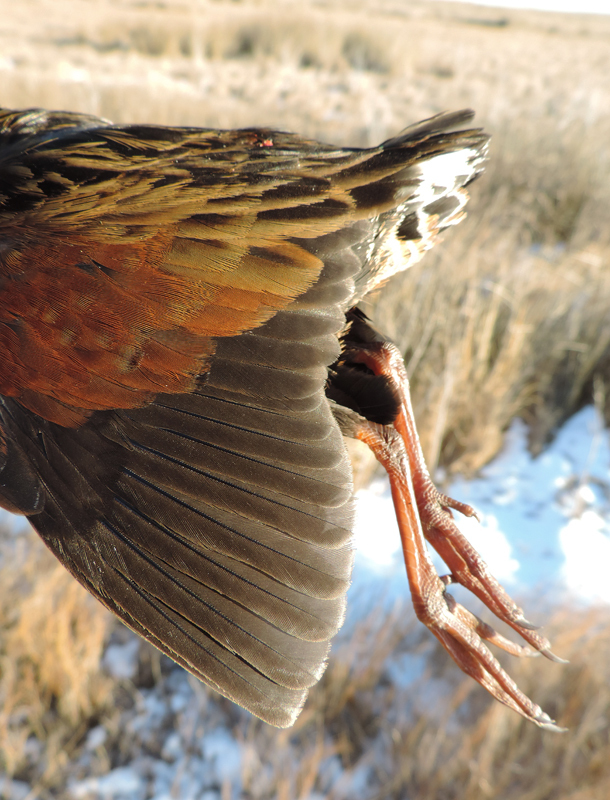 Below: A Virginia Rail found recently dead on the road in Dorchester Co., Maryland (1/26/2014). 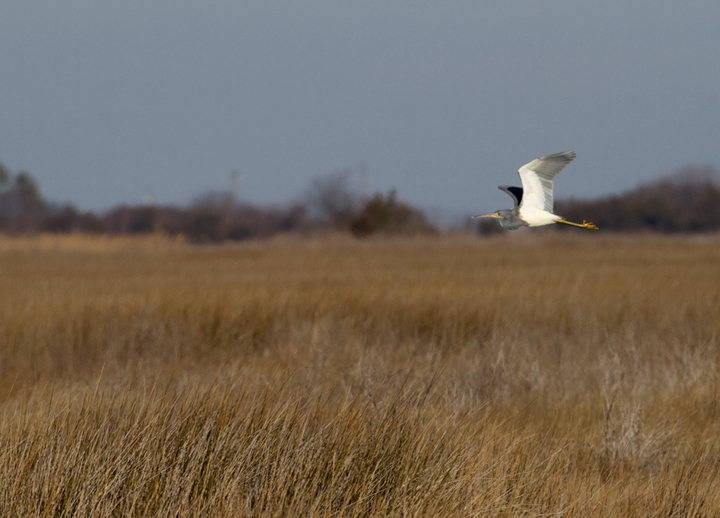 Below: A Tricolored Heron at Deal Island WMA in January (1/19/2014). 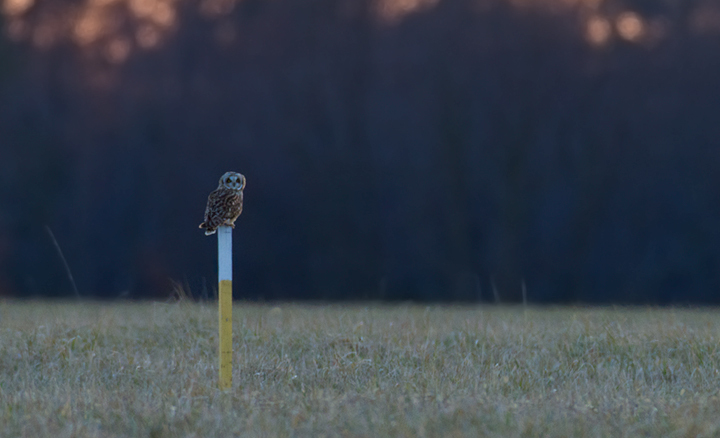 Below: A Short-eared Owl in Talbot Co., Maryland (1/19/2014).